Here are my recommendations for kitchen gadgets and ingredients that I regularly use along with recommendations for where to find them and how to choose quality products! If you make a purchase on Amazon using my affiliate links, it supports BarbellsAndBaking (at no additional cost to you) and helps me to be able to keep this blog up and running. I have bought and used each of these items in my kitchen and in referring it, honestly recommend it to all of you, so thank you for your support! 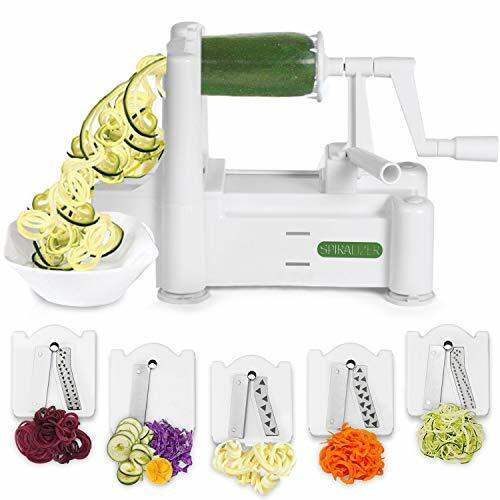 I love this Spiralizer to make make "zoodles" out of zucchini and sweet potatoes! You can also spiralize apples, beets, butternut squash, cabbage, carrots, celeriac, cucumbers, onions, and squash, to name a few! If there was a fire, I would make sure to grab this my husband, kids, dogs, and probably this blender. Yes, it's a little pricey, but this incredible machine (mine is called Vivi the Vitamix haha) makes almost everything and they last FOREVER. 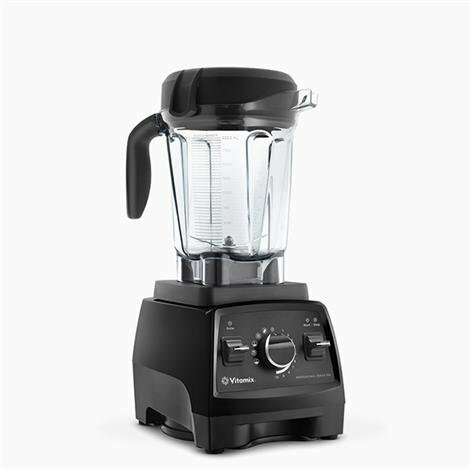 Soups, the most smooth smoothies I have ever tasted, cutting up vegetables (I use this to make sweet potato hash in the morning and save a ton of time), juices, breads, blending almonds to make almond flour or almond butter... the list goes on. The great thing about the 750 is that it has presets, so you can set it to "smoothie" or "soup" and walk away and it turns off when it's done. Last but not least, IT CLEANS ITSELF. I don't know about you, but less dishes makes me a very happy person! I love my Lodge Cast Iron Skillets! Clicking on the link also lets your choose what size you want. I have the small skillet, large skillet, and a grill skillet. 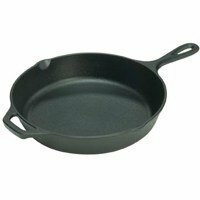 I use them for paellas, cornbread, cookie pies, quiches, frittatas, cooking chicken, etc. Just make sure that you season it correctly (Lodge has has their recommended method on their website) and also promptly clean, dry, and re-oil it after every use. 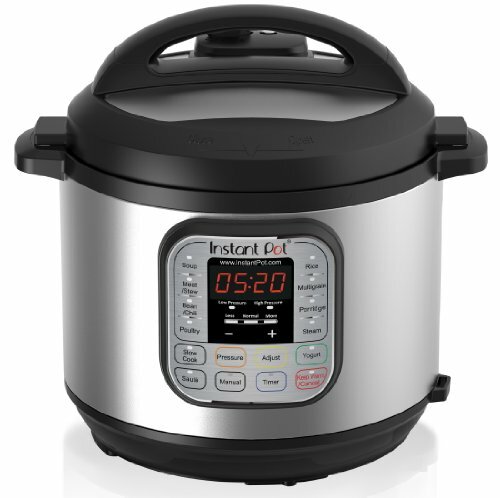 The instant pot is an AMAZING 7-in-1 multi-functional cooker - pressure cooker, slow cooker, rice cooker, sauté/browning, yogurt maker, steamer, warmer and a HUGE time saver! I use it for everything from steaming veggies (usually takes about 3 minutes) to making meatballs and soups. I can also throw in a whole chicken and it will cook it in 25 minutes. Basically a miracle machine. Lastly, I LOVE being able to cook my bone broth in 3 hours instead of 48 (and not have the house smell like it for a week afterwards)! Ground Beef - We only use organic grass-fed beef. Grass-fed beef is by far the best choice and worth the extra expense. It has a balanced ratio of omega 3 and omega 6 fatty acids, which controls inflammation. It is natural and has no added hormones or antibiotics, is rich in vitamins, has GOOD fats, and isn't doused in ammonia to prevent E.Coli (watch the movie "Food Inc."). I buy mine from Sprouts (usually $7.99 a pound, but I stock up on it when it's on sale for $5.99). Chicken - Try to find chicken that is pasture raised and free of antibiotics or hormones. Bacon - Try to find bacon that is unprocessed (or minimally), gluten free, antibiotic free, preferably cured with natural ingredients, and with no artificial ingredients or preservatives. Applegate farms is a decent brand to buy from a grocery store. Eggs - there are a lot of labels that companies put on their eggs simply to sell more. The easiest way to make sure your eggs are what they should be is to buy locally at farmers markets and talk to the farmers about their standards. If that's not possible, try to find "pasture-raised" eggs at a grocery store near you. You can tell a good egg by the color of the yoke. The deeper the yellow (almost orange on great eggs), the better. The term "cage-free" is often abused (a lot of these chickens are stuffed into small areas inside, just simply not actually in a cage) and vegetarian fed (chickens are not naturally vegetarians) don't mean a whole lot, so "pasture-raised" is the only label that truly means that the chickens are allowed to roam, eat, and live naturally. Seafood - We try to eat seafood that has a low mercury levels such as Crab, Hake, Salmon, Scallops, Shrimp, Sole, Squid, Tilapia, & Trout. Also, we ONLY buy fresh, wild caught fish. It's extremely important, just like buying grass fed beef. The NRDC has a good list for mercury levels in seafood. Tomato Sauce - Start reading labels! I can’t stress this enough in cooking/baking. I try to always keep my ingredients as whole foods (non-processed), but when I do buy something that has more than one ingredient in it (ex: tomato sauce if I don't have time to make my own), it is SO important to know exactly what is in it along with the percentage. Evaluate the ingredients and make sure you know what each one of them is. It should be NOT be a long list. Next, look beyond just the ingredients at 1. how much sugar is in it, and 2. how much sodium is in it. In terms of a tomato sauce, I try to buy sauces that have less than 150mg of sodium and 5mg of sugar. Almond Milk - For baking purposes I make sure to buy a "regular" almond milk so that it doesn't interfere with any other tastes in my dishes. For dishes like oatmeal, we like the vanilla almond milk that adds some flavor. I will posting a homemade almond milk recipe soon! Coconut Milk - When a recipe refers to coconut milk, it's always from the can. I make sure to only buy organic coconut milk that has two ingredients: water and organic coconut. If it has any more ingredients than that, look for another brand. I use both coconut milk and almond milk in cooking, it just depends on the recipe and if I want a "thicker" milk base (coconut) or thinner (almond milk). Almond Butter - Justin's nut butter is my top choice! It's so creamy and delicious! Matt and I love the "maple" flavored almond butter, but the "honey" flavored is also good too. Almond Flour - First off, there is almond flour and almond meal (almond meal is a coarser blend, albeit cheaper). It is important that if a recipe calls for almond FLOUR, that you use the flour instead of the meal, otherwise it may not rise as much or have a different consistency. The almond meal at Trader Joe's is the cheapest I've found so far. Almond flour is definitely a bit more expensive. Check out my blog post on how to make your own almond flour and save yourself a lot of money! That blog posts also has links and store suggestions for if you do just need to buy it already ground. Coconut Flour - I buy this relatively cheap from places like Sprouts or Whole Foods. Also an important flour to have on hand. Here's where you can find it online: Nutiva Organic Coconut Flour. Tapioca Flour - Luckily, this is one of the cheapest flours! You can buy this easily online (Bob's Red Mill Tapioca Flour) or at any Whole Foods/Sprouts. Also, if you have an asian market near you, they always carry very inexpensive (but still good quality) tapioca flour. Nuts - I have found that the cheapest places to buy a variety of nuts is Costco, Trader Joe's, or online on Amazon. Honey - I buy large tubs of local honey from a Farmer's Market (preferred) or from a Health Food Store like Sprouts. Make sure that it is organic and lists only 1 ingredient - honey. Maple Syrup - I have found the cheapest (but still good quality) maple syrup at Trader Joe's. It should be organic and like the honey, list only 1 ingredient - Maple Syrup. Coconut Palm Sugar - Coconut Palm sugar is great because it's low on the glycemic index! There are a lot of different good brands out there. Good brands are "Wholesome Sweeteners" or "Sweet Tree" Organic Coconut Palm Sugar". Once again, you can buy it online (Wholesome Sweeteners Organic Coconut Sugar) or in any Sprouts/Whole Foods. Pectin - Pomonas Universal Pectin, (3 Pack of 1oz.) is a sugar-free, low-methoxyl citrus pectin that doesn't require sugar to jell which means that you can actually make jam, jelly, yogurt, jello, pies, etc. with less, little, or no sugar (and obviously use other natural sweeteners such as honey and maple syrup).